The much debated issue of the National Theater has led artists to parliament yesterday where they have faced MPs. 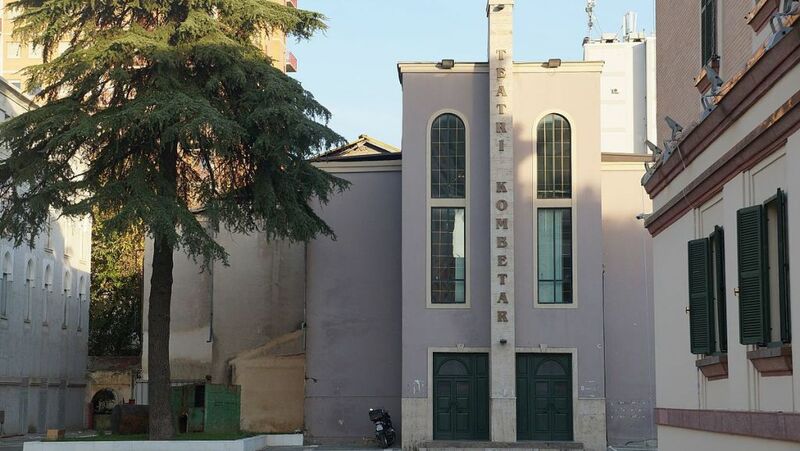 It was the chair of the parliamentary committee for culture, Albana Vokshi the one to hold a hearing with several actors who are against the demolition of the theater, regarding this decision as outrageous. “The biggest scandal is that the entire area of the theater will be given to a private company”, she said. Meanwhile, the prominent actor, Robert Ndrenika warned that if the government does not withdraw the bill which foresees the demolition of the Theater, then actors will seclude themselves inside the premises of the theater. “I’m sorry to say this, but this is the beginning of a war. Nobody listens to us; they despise us and abandon us. This is robbery. It’s been 20 years that they attempt to do this. It’s true that that land belongs to the state, but it also belongs to the theater community”, Ndrenika said. Meanwhile, on his part, the President of Republic, Ilir Meta has issued a message yesterday following the recent tense situation between the actors and the state with regard to the National Theater. Meta called on transparency and dialogue on this issue, but he also called on the government and the Municipality of Tirana to solve this issue. The head of the state demanded for the suggestions and the concerns raised by the community of artists to be heard and the sides to engage in dialogue in order to preserve and promote historical, cultural and national heritage. Let us recall that some time ago, Meta had a meeting with a group of actors and heard their concerns and suggestions about the solution of this sensitive issue.